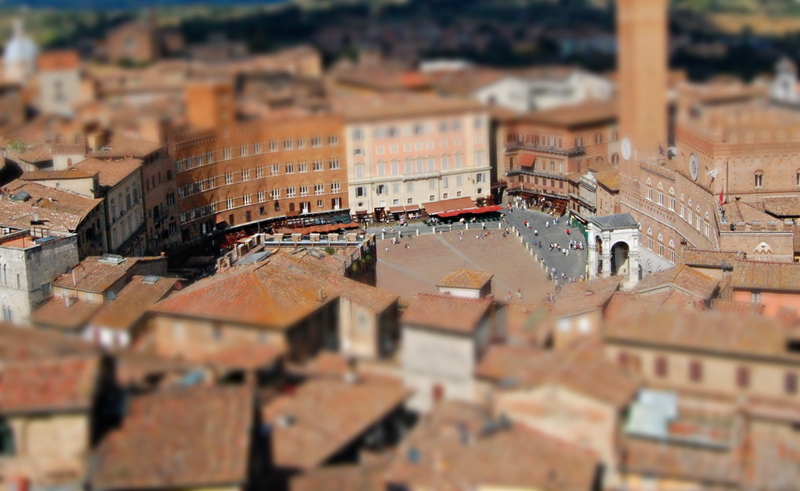 In my first article on simulating tilt-shift miniature faking with the GIMP I linked to instructions from Gimparoo!. Firstly, these instructions are no longer completely correct on the latest version of the GIMP because some of the menu sequences used have changed. Secondly, I’ve been looking at other sets of instructions on the web for doing this with PhotoShop and comparing them to the Gimparoo! instructions (particularly these instructions). What I’ve found is that the Gimparoo! instructions are not entirely complete so I’ve decided to write my own. As usual I want to stress that I am not making any claims that these instructions are in any way definitive. There may well be WAY better ways of doing this. What I’m saying is that this is the best way I’ve found of doing it so far and that it works for me. First, lets look at my raw image. This is not an image of mine but one Allison Sheridan from the NosillaCast podcast was nice enough to allow me to use. She took it last summer while on holidays in Italy. The first thing to note is that a dramatic cloudy sky is not good to have on a TSP shot. It will ruin the illusion! Also, you need to have a point of focus in the image where there is something interesting happening which will serve as the point where the artificially thin depth of field will be centred. 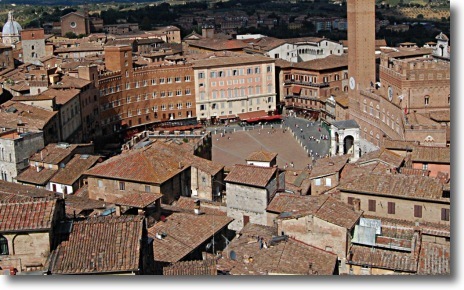 For both those reasons I’m going to start by cropping the photo to an area centred around the church square. To do that just choose the selection tool, select the area you want to keep and then go to Image -> Crop to Selection. For the effect to work best we should scale the image to the size we want to use it at (I’m opting for a width of 1024px). 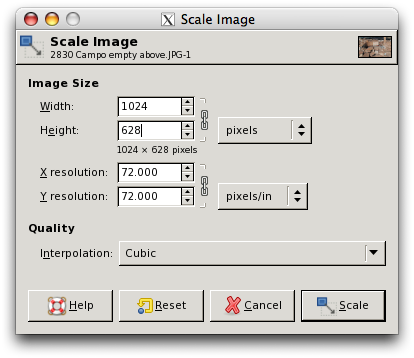 To do that go to Image -> Scale Image ... and enter the width you want and click Scale. Apart from your chosen width or height all the rest of the controls can be left at their default settings. The sharper your image is at the point you’ll be using as your focus the better the effect will be. If your original image is a little soft I’d recommend applying an un-sharp mask by going to Filters -> Enhance -> Unsharp Mask .... Again, the defaults should be fine. 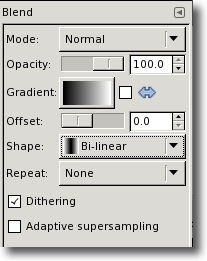 In the resulting dialogue box you need to select White (full opacity). Note that if the point you’ve chosen for the focus of the image is not on the level then you should not drag straight up but rather perpendicular to the slope of the ground at your focal point. 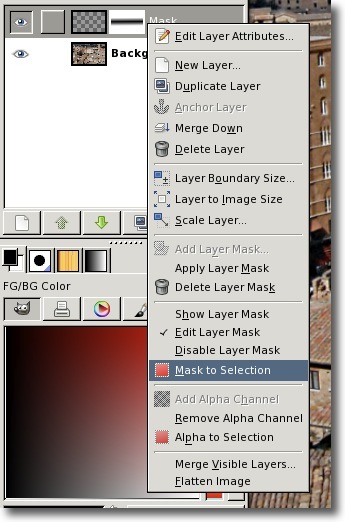 Now you need to turn this blend into a mask by right-clicking on the Mask layer and selecting Mask to Selection. At this point you will finally get to see where your blurring will come on your image. If the selection hasn’t come where you want, undo the last two steps (Edit -> Undo) and try again until you’re happy. 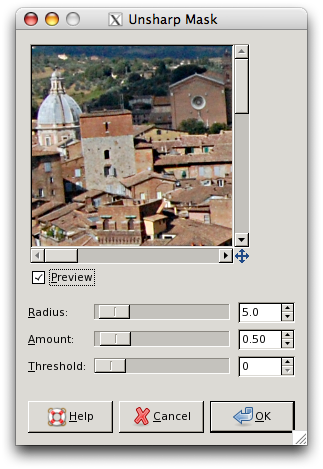 Now you need to select the Background layer before we can apply the blurring. To apply the blurring go to Filters -> Blur -> Gaussian Blur .... 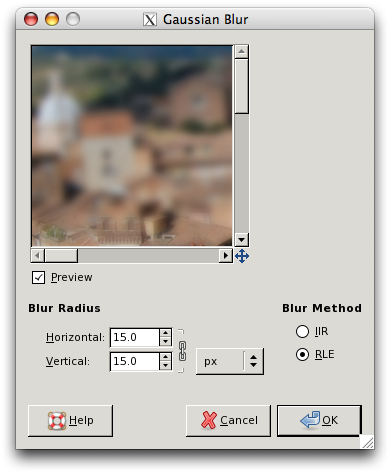 This will pop up a window where you get to configure the blur. Conventional wisdom seems to be that a Blur Radius of 15px works best. At this point we’re clearly getting close but we’re not quite there yet. There is one more step that we definitely have to take and one that may also be helpful. We definitely have to push up the colours to give the whole image a more surreal feel and it may also be helpful to tweak the curves a little to boost contrast. To boost the colours we use the Hue-Saturation dialogue which can be found at Colors -> Hue-Saturation .... What we want to do here is to increase the Saturation. Accepted wisdom seems to be that a value in or around +40 should work best. I think it gives a better result than the Gaussian blur (it does work in Windows). Very cool! I need to try this out some time. Awesome, this was really great. Thanks for this. 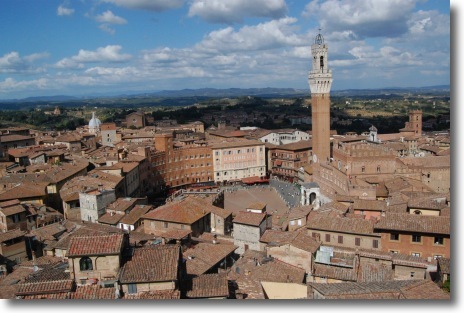 A very nice shot of Siena too. will be boring at the least. Glad the instructions were useful! 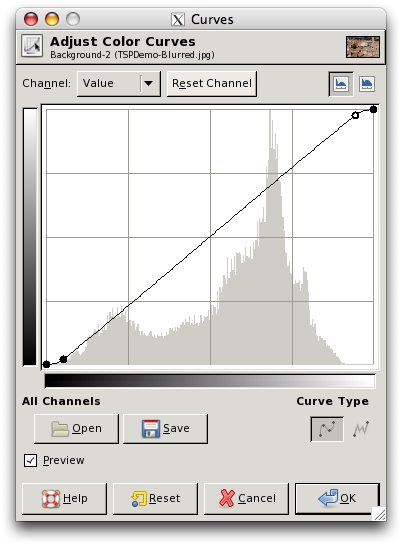 I know it is possible to batch process with the GIMP, so I imagine you could create a filter or a script or something to apply this effect to thousands of images, but I’ve never done it myself, so I’m afraid I can’t be much help there. If you do succeed, please post a link here, I’d really love to see the resulting video, I think it’ll be very cool! Easier way to do it: apply color effects first. 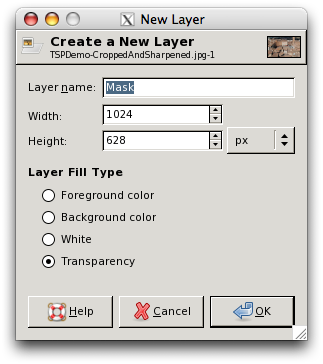 Duplicate layer. Sharpen top. Blur bottom. 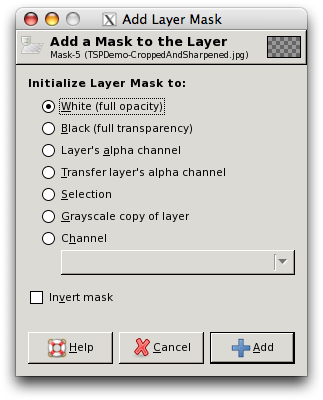 White to black linear (or appropriate) gradient layer mask on top layer. Boom. 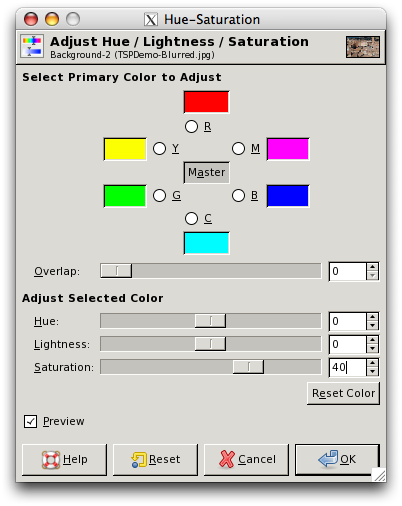 For added effect, apply some vignetting or add a more vibrant blur to bottom layer by duplicating sharpened layer, bringing up brightness on blur, duplicate above blur, and lower opacity on duplicate. Fantastic, thanks MarxM, that does look a lot simpler! Thanks very much for posting this – just followed the instructions and got a great result. However I’d like to point out a problem in your end result. The angle of view is quite shallow so I would expect to see all of the face of the buildings at the back of the square in focus not just the bottom.. they’re equally distant away so it doesn’t make sense that they’re not in focus.